If one thing is clear, is that the Mass Effect games have featured stunning single player campaigns, with the suicide mission in part 2 being arguably the highlight of the entire series thus far. And aside from the epic single player campaigns, Mass Effect 3 was the first game in the series to feature multiplayer back 2012. This was decent but basic, and certainly not a patch on the absorbing single player mode. The upcoming Mass Effect Andromeda looks likely to feature a more involving multiplayer mode, though, as we see in the gameplay video below. Those who enjoy competitive, PvP multiplayer are out of luck here, though, because Andromeda’s multiplayer is solely PvE (Player vs Environment) as can be seen in this preview video. This means players will have to cooperate to take on alien enemies known as the Remnant, but this could still be interesting due to the large number of player kits (25) available. These kits basically are an all in one selection of character type, race and skills. For example, you can pick a “human female adept” who has biotic skills like singularity and health regeneration as a bonus stat, or a “krogan vanguard” who has greater starting health and can charge at his enemies in combat. According to Bioware, there will be four maps available in Mass Effect Andromeda’s multiplayer at launch, but additional maps will be made available later as DLC as the company revealed earlier in a tweet. 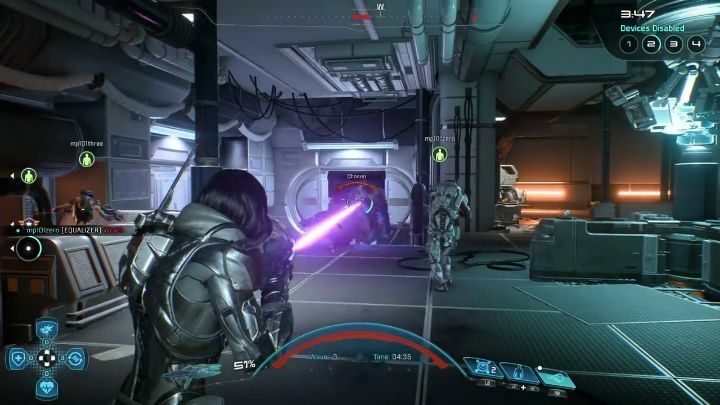 There will also be an abundance of weapons (40) to hit the alien enemies hard in the game, including the handy sniper rifle seen in action in this gameplay video. As is the case with Andromeda’s multiplayer maps, Bioware has promised to add more to the game in the coming months. What’s clear, though, is that the multiplayer will be icing on the cake if Mass Effect Andromeda manages to deliver as compelling a single player experience as previous games did in the past. And here’s hoping that Bioware proves to have that magic touch once again and puts out another great game this year, something we’ll find out soon enough as Andromeda’s release date is just around the corner. Note: Mass Effect Andromeda will be released on March 21, 2017 in North America, and March 23 in the rest of the world. Available on PS4, Xbox One and PC. (EA / Origin Access members will be able to play a portion of the game earlier, on March 16).